Do you ever just want to make something beautiful? And how would you feel if that something beautiful helped your gorgeous self to look even more smoochable? I know. I know. You are stunning already and you don't need anything else for your fine self, but DIY tinted lip balm (or gloss) can be a fun way to show off those amazing lips. And if you are afraid that it just wouldn't be fair to the other ladies in your life if you looked THAT good, then you can always make a large batch and give them out spread the love! This recipe is fun, easy and anyone can easily customize the recipe to suit any personality and style! My favorite part is that the color is just a soft tint and the lip balm is ultra-moisturizing which I need this winter! 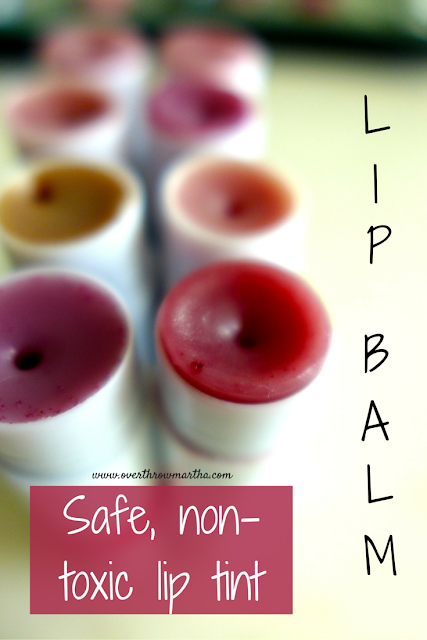 But what is the most important part of this recipe..... it is a safe, non-toxic option to other chemical filled lip tints and balms. Most people can agree that there are actually quite a bit of nasty things in lip makeup like lead, cadmium, chromium, aluminum, vitamin A palmitate, propylparaben, and a lot more! One study even said those smoochable lipsticks and lip glosses may be a health hazard which is so sad!! The good news is when you make something yourself-- you know exactly what goes into them and how safe they are! With a few simple ingredients you can safely smooch anyone you like. MUAH! Simply melt the coconut oil, beeswax and shea butter over a boiler on medium heat. DO NOT MICROWAVE. 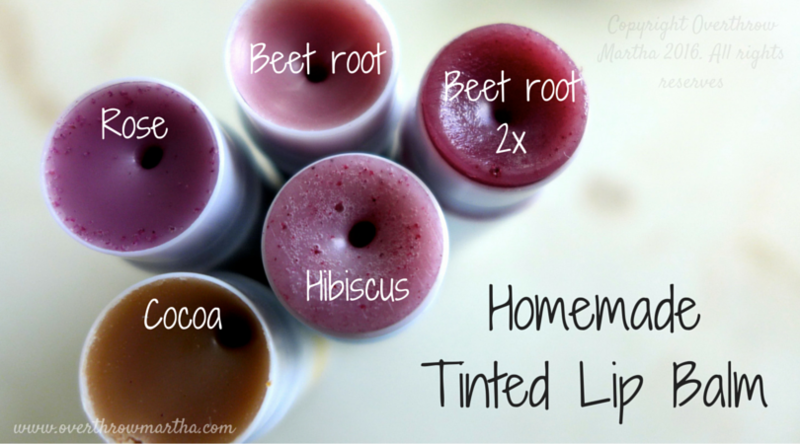 Keep in mind this is lip gloss has a tint-- do not expect drastic colors with this DIY. I am working on a lipstick which will give you more defined color! Stay tunnnnned! 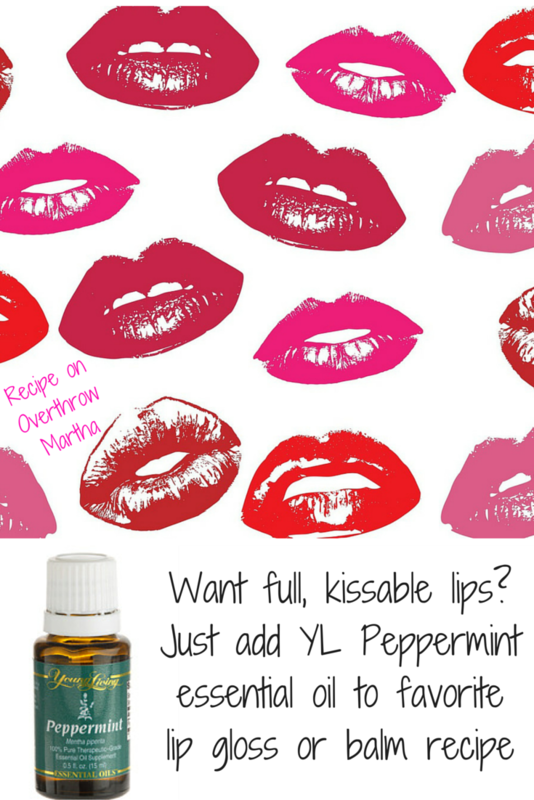 It is important to use good quality, food grade essential oils when you are putting them in lips because it's, you know, on your mouth. You lick them and then you eat it! You are kind of defeating the purpose of making it all amazing and chemical free if you use synthetic perfume grade essential oils, you know? 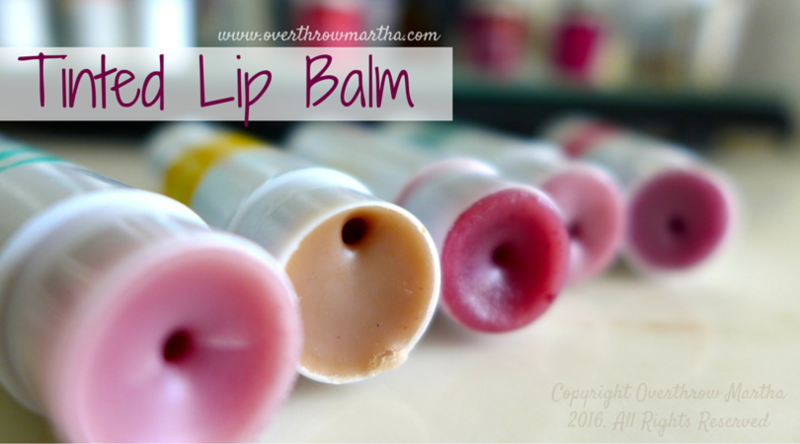 And feel free to combine essential oils to get a customize balm just for you! Like Lavender-Orange, Citrus Fresh-Spearmint, Grapefruit-Peppermint or Thieves-Lemon. Yum! What's your favorite combination? If you are not just using high quality essential oils, I would be honored if you would join my team. We have online support groups, newsletters and 1:1 help so you can reach your goals. Find out more here. What kind of make-up DIY would you like to see next? Can you do an eyeliner? How expensive is this to make? Not very expensive at all! Depending on what supplies you use it can cost anywhere from $0.25 to $0.50 per tube. They are a great gift to make in bulk because it's so simple to make a dozen tubes at once and it's very inexpensive. Im making my own set of lip balms and I wanted to know in what proportions do I mix the carrier amd essential oil is it 50-50 or 75-25(with the carrier being the greater quantity)?? Well, proportions vary depending on exactly what ingredients you use and the consistency you want but the essential oils usually are a small percentage of the recipe. You can see the recipe above for an example or any of the other lip balm recipes I've made.